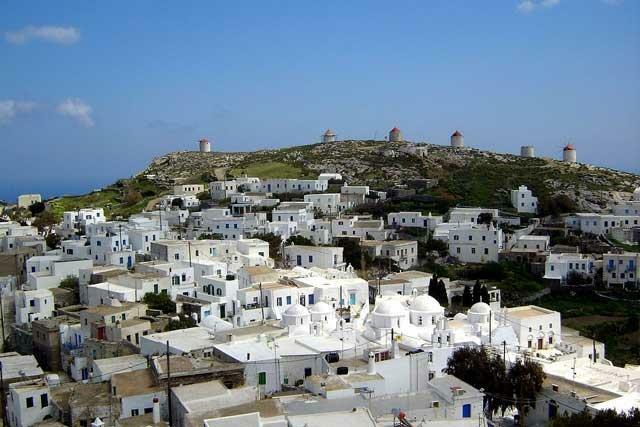 Amorgos Island is located on the southeastern edge of the Cyclades. 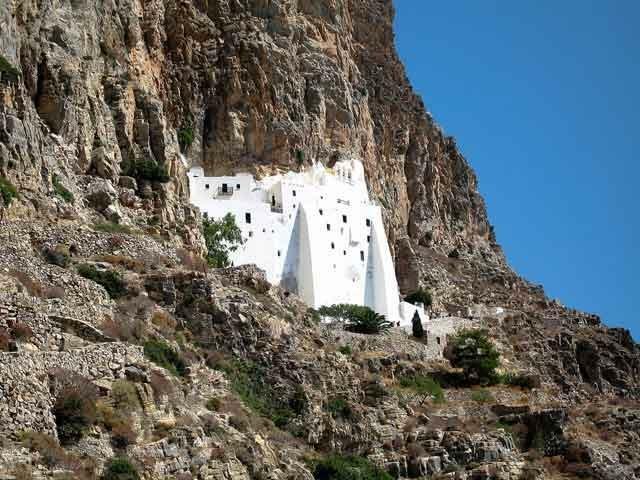 Its mountains, its impressive rock slopes, the mountain slopes where plants are cultivated, its steep coasts in the south side and the scenic bays with their beautiful beaches compose Amorgos landscape. The well-known cult-movie and free diving drama, directed by Luc Besson, was partly produced on Amorgos Island in 1988. Production places were Chora, Agia Anna beach and Kalotaritissa bay. The stunning widescreen cinematography and intense, varied score by his regular composer, Eric Serra, give the film a unique flavor and an eerie resonance. Le Grand Bleu was the most financially successful French film of the 1980s and French tourists came to Amorgos to look for the unforgettable locations known from the movie. Transfer from the Port to the hotel for check in. 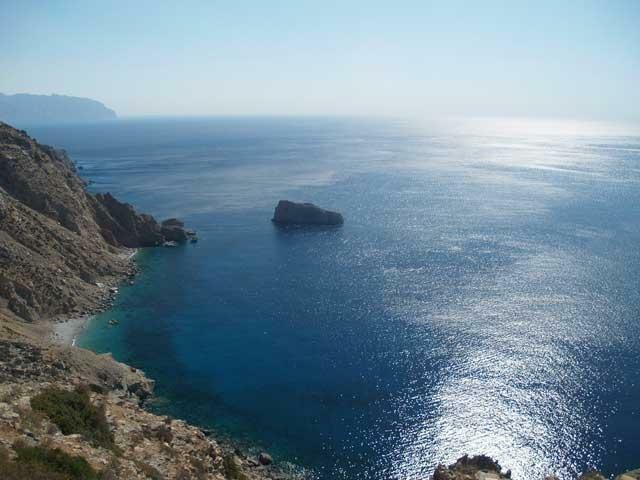 Walk to the beach for two morning dives at Aegiali Bay and Agios Pavlos dive sites. Two beautiful sandy beaches, perfect places to enjoy your DSD. 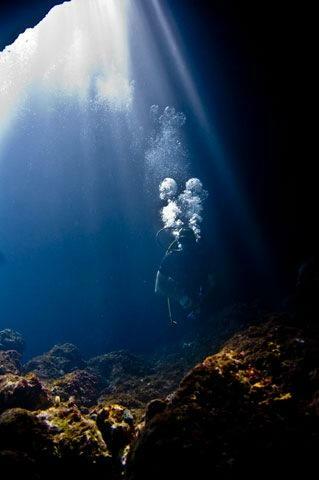 A small reef with turquoise color and perfect visibility that offers a broad range of marine life. The floor is dotted with very large black sponges, and other treasures like mermaids’ cups and octopus’s gardens. 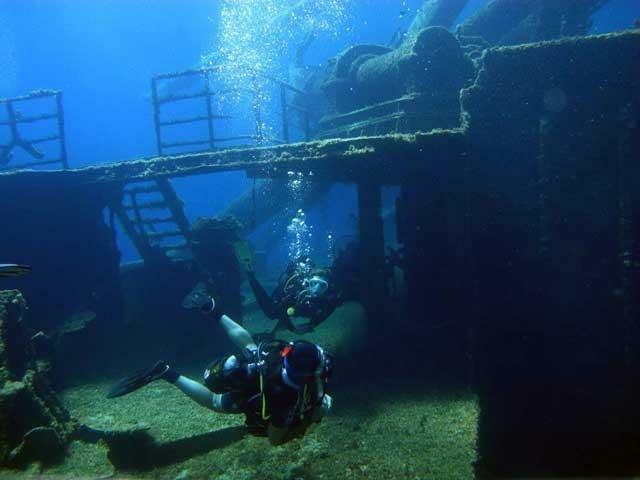 Walk to the beach for two morning dives at Deep Blue Wall and the old bauxite mines. 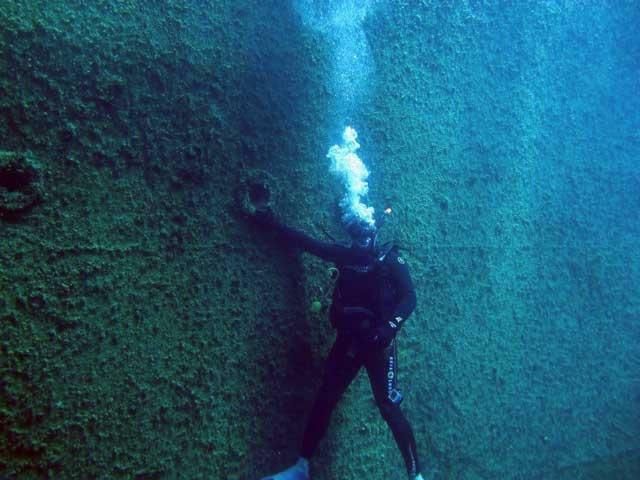 The Deep Blue Wall reaches a depth of approximately 60m and is covered with sponges and corals. At the depth of 22m the wall opens up into a large but very shallow cave with high walls where the diver can safely enter. Under the old bauxite mines of the island there is a plateau at 18m depth where you can see parts of the equipment used to load the mined bauxite to different cargo ships. Walk to the beach for two dives at Manina 3rd Wreck and Limeneraki Wall dive sites. 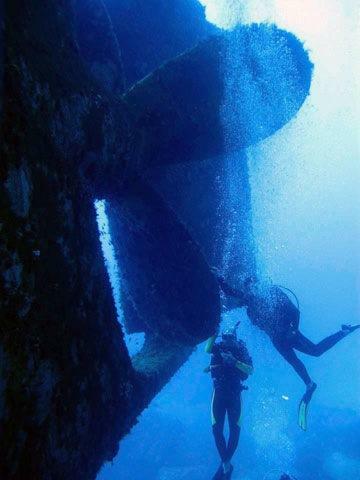 The wreck of the cargo ship Manina 3rd has become an artificial reef, giving home to different fish species, sponges and corals. The wall dive is special for its abundant fish life and has a stunning arched swim-through, which feeds the day light down to you as you pass below. 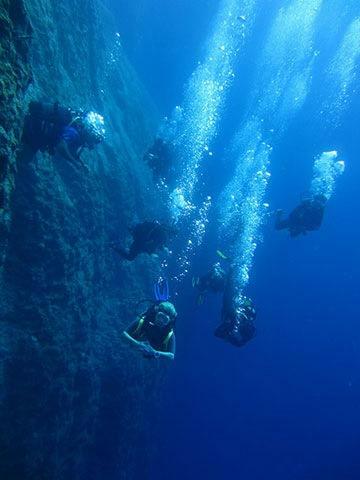 Walk to the beach for two morning dives at Nikouria Wall and Nikouria Cavern dive sites. 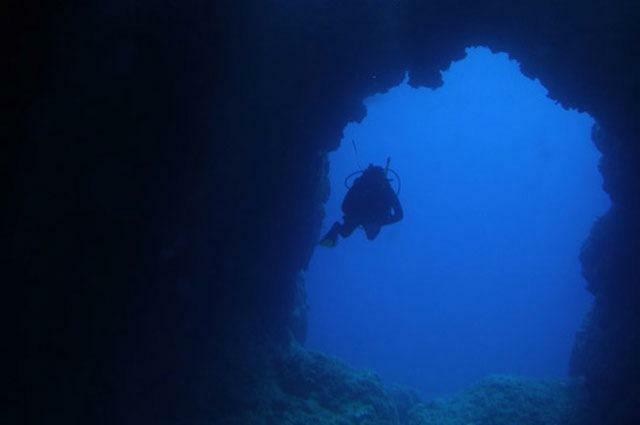 The wall gently slopes downwards to 50m of depth right after the cave in the same Island of Nikouria. Its exposure to the south ensures the marine life has daylong sunshine, which lights up the wall like a huge canvas of abstract art. Inside the cave you will experience a true color explosion as the walls are completely covered with bright purple, red and yellow sponges, diverse corals, micro marine life and large spiral worms. Walk to the beach for two morning dives at Gramvonissi Island and Small Sparti caves sites. Gramvonissi Island is accessible for all levels. Beautiful lunar landscape, numerous small caves covered in corals and a drop off to approx. 35m of depth. The cave, which entrance is at 18m of depth, offers the opportunity to swim through a narrow passage created by fallen rocks. Exiting the cavern you will find on both sides a breathtaking wall with a small ledge at around 35m of depth before another drop to the infinite blue.